Many of us associate ourselves differently with our own country. We tend to view ourselves differently than the ‘stereotypes’, but are we really that ‘different’ from one another? Reading this book as a non-Dutch person gives me some insight on how Dutch people objectively see themselves. This book is a compilation of Dutch things, that might not originate from the Netherlands but its essence/behavior is very Dutch. Each ‘Dutch thing’ is accompanied by a short story. The editors of this book gave the freedom to the writers to express their own view of the objects given to them. 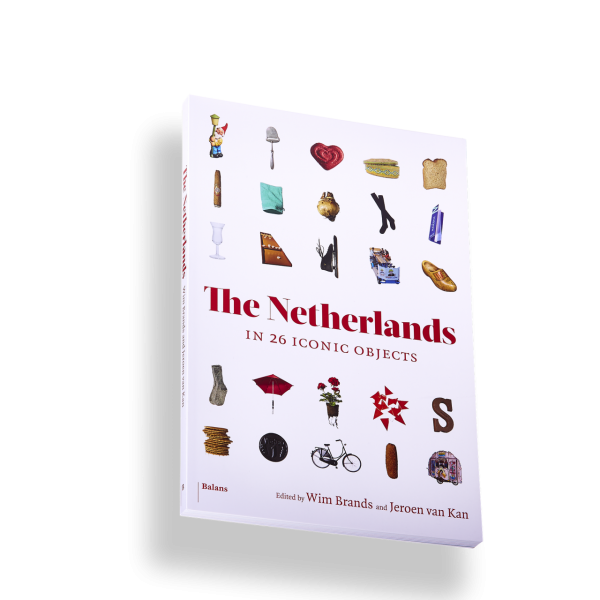 There were a total of 26 items that varies from things that are famously associated to the Netherlands since a long time ago and those who are quite new to the culture. The outcome is diverse, some are quite factual, and some are quite personal but mostly all the short stories really reflect what Dutch people are like. Now, being a non-Dutch, it gives me a unique stand point to try and use the lenses of these writers and view Dutch people a certain way. A lot of them however did build up this image of what a Dutch person should be or what they are like, and even though some stories are different, it has a same overall conclusion. I get an understanding on their behaviors by reading something about bicycles. I learned that the Dutch relationship/view of that object is entirely different than that from other parts of the world. For instance the writer, Franca Teur, makes a connection between the simplicity of this mode of transportation to the way Dutch people do business. Very simple, straight to the point and they don’t like wasting money on nonsenses. She also shares her story about the time when she studied abroad and relied on her bike to do everything, whilst the locals prefer riding in a car or van instead. Hence, you can slightly see the differences in the way the Dutch sees it and how others see it. In which makes it entirely more interesting to read. On top of that, the personal touches some writers wrote about the object could give readers the ability to put themselves in their position. This book is a light read with a twist of humor and allows the reader to pause and think, laugh, (maybe) be embarrassed and so forth. If you are Dutch, this book will make you ask that question, “Are we really like that?” and if you’re a non-Dutch (like myself), you’ll still enjoy it. This book could definitely be used as a great conversation starter, a great quick read and for something to reflect to as well.